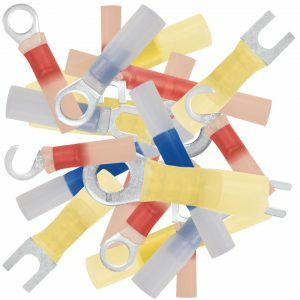 We are suppliers of electrical terminals and related items such as wire, cable ties, fuses, battery accessories, ferrules, heat shrink, looms, tools, and much more! We are proud to service many types of industries such as: Marine (boat builders, marine electric, and boat repair, etc), Aviation (general and avionics), Auto (performance, police, electric, etc), Trucking (general, bodies, ambulance, fire), Municipalities, Medical Electronics, Foodservice equipment, and many more! We are built on the intertwined philosophy that QUALITY & SERVICE is an equal and #1 priority. We are a new and highly-motivated company, however the Industry Electric team is built with industry electric veterans from both the supplier and end-user spectrum, who grew tired of “customer and quality last” mentality which has spread throughout all industries. In this economy we know that everyone is keeping inventories low for business and tax reasons. Also, like most business were thankful for any size of business that comes our way! How can anyone in this age refuse an order!? We don’t… and we are thankful. We will work hard to earn your business at any level. Also, we realize and hope that as your business grows that we’ll be able to grow with you! If we ship your order and have to backorder an item or two, there is no charge on the shipping if the remaining item cost is $25 or less. We understand the motto “We shoot every third salesman, and the second one just left!” however, give us a chance. Our sales team is not slick shysters that sell icemakers to Eskimos! It is likely one of them used to be a mechanic or technician at one point. We train our outside team to ask a lot of questions and learn from you. In other words, none of our people can help you install a jet engine. However, we will work with you on a scheduled basis to check you needs on electrical items. Sometimes you may need something; sometimes you don’t… so in short, none of our sales team would make it in car sales! Right now we have outside sales support on the east coast. However, as we grow, we work with our national customers through phone and website. Kinda like Outback Steakhouse… “No rules, just right.” We work to keep your business. We understand everyday is different and so is every customer need. For example: If you need just 50 of a certain part, and it comes in a standard 100 pack, and you know it will take you 69 years to use a 100… we are more than happy to get 50 (or whatever amount) to you. In this climate we all have to be creative to stay alive. At Industry Electric we do accept Visa, Mastercard and American Express. However we know credit is a necessary evil in doing business, as many of you are waiting to get paid too! If an initial order is under $500, we will extend 30-day open terms to your business without an initial process. We have learned over the years that unnecessary credit checks don’t really mean much. We’ll know if your good for it soon enough! We trust most will pay us on a 30-day cycle. If not, then we figure you can deal with another company who is not as fun as us! We also extend the 2% less 30 discount. If you pay us prior to 30 days, then take 2% off your invoice amount. Many companies used to offer this feature at Industry Electric we still do. Please click here to submit your application for credit with Industry Electric. As you know, quality has taken a bath over the last few years as other companies looked to reduce cost but still raise prices to the customers (sounds like the government!) 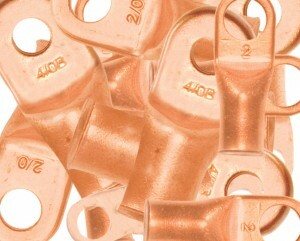 Our terminals are 100% pure copper with tin plating (not bendy). 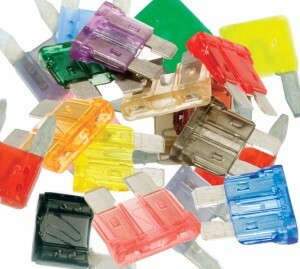 Our cable ties are 6/6 nylon (not brittle plastic). Our wire is pure copper stranded and available tinned as well. Our lugs, and accessories are UL and CSA. Also many of our lugs, wire and cable ties are mil-spec. Many companies have gone the route of thinking it is your privileged to deal with them… this is crazy. Any business that runs that way will die a slow and painful death. Industry Electric… We look forward to working with you.